"Don't worry about failures. Worry about the chances you miss when you don't even try." This way of thinking, propounded by Jack Canfield, is what drives Mr. Balakrishnan and inspires him to be entrepreneurial. His vision is to ensure Pidilite attains a leadership position in the industries the company chooses to serve. Having joined Pidilite Industries Ltd. in November 2013, he now serves as the CEO of the Industrial Products Division. He commenced his career in the textile manufacturing industry way back in 1993. 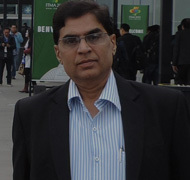 Previously, he worked for BASF in India and at its locations in the Asia Pacific region in various senior management positions, and for DyStar India as President South Asia and Managing Director. He was also Chairman of the Board of Texanlab in India, co-founder of the Advanced Academy for Development of Textile Technologists (AADTT) along with Alok Industries Limited, and co-founder of the Consortium of Green Fashion (CGF) with Maharshi Karve Stree Shikshan Samstha, Pune. Mr. Balakrishnan is a sports enthusiast and loves travelling, music and photography. He holds a Bachelor of Science and Technology degree from the Institute of Chemical Technology, Mumbai. An open-minded and highly experienced paint technologist, Mr. Kotekar believes that building trust is essential for holding a team together and inculcates a culture of bonding among employees that helps them achieve the impossible as a team. Previously, he held different key positions including that of Business Manager and National Trainer in various verticals, and has around 19 years of experience in working with transportation industries. Having started his career with Kansai Nerolac, he worked for a number of multinational companies including 3M and DuPont. After acquiring a B. Tech degree in Paints, Mr. Kotekar completed the postgraduate Executive Program from IIM, Calcutta. Mr. Kokane joined the company in 1995, and during the last 21 years has worked in various positions in sales and marketing. Working at Pidilite, an organisation with an entrepreneurial history, has been an exhilarating experience for him. Over the course of his long career at Pidilite, he has been able to grow in knowledge and experience along with the expansion of the company into diverse market segments. Before joining Pidilite, Mr. Kokane worked for 17 years in the textile printing departments of various mills including Khatau and Morarjee. A silver medallist from ICT (formerly UDCT), Mumbai, from where he completed his B.Sc. (Tech) in textile chemistry, Mr. Kokane also holds a Diploma in Business Management (DBM) from Indian Merchants' Chamber, and a Diploma in Import Export Management. A Pidilitan for the last five years, Mr. Kohli believes in the positive benefits of establishing a learning culture and programs for employee development. He is convinced that training and development helps employees become self-dependent and capable of handling problems with ease. Before being appointed to his current position, he handled various responsibilities in Pidilite. Prior to joining PIL, he worked for Asian Paints, NOCIL, and Ciba / Huntsman. He is a postgraduate in Chemistry and holds an MBA from FMS. 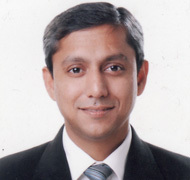 A seasoned professional, Mr. Basab Gupta brings with him around two decades of extensive industry experience. He started his career in 1993 with a short spell as a manufacturing professional at Hindustan Paper Corporation Limited. 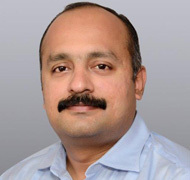 Prior to joining Pidilite in 2016, he had a stint at Ecolab, handled diverse responsibilities at J. M. Huber Corporation including sales, logistics, and new product development, besides handling the company's overseas markets, and helped set up the Mumbai branch operations of the Singapore-based Sembawang Corporation. Mr. Gupta holds a Bachelor's degree in Chemical Engineering from Jadavpur University, Calcutta, and an MBA from T. A. Pai Management Institute, Manipal. 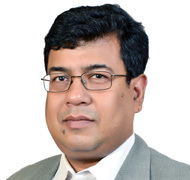 Having joined Pidilite in 2015, Ashok Narayan brings with him over 20 years of valuable experience as a Chemical Engineer at companies of global repute such as Henkel, and Berger. He is keen on fostering a culture of innovation and creativity within Pidilite. He believes this can be achieved within Pidilite's Industrial Products Business by breaking down functional barriers and minimising the impact of hierarchies so that a seamless flow of ideas is possible. He also believes that PIL-IP can gain a sustainable and competitive advantage in the markets it serves through strategic global partnerships. Mr. Narayan holds a Bachelor's degree in Chemical Engineering. An explorer at heart, Vijay Mistry joined Pidilite in 2016 and believes that 'Where there is a will there is a way'. He has lived this dictum throughout his career by taking up challenging jobs involving pioneering work. He started his career at Tipco Industries in composites manufacturing. 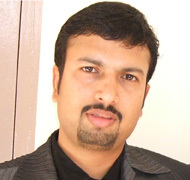 Prior to joining Pidilite, he gained experience in sales and business development at Astral Polytechnik Pvt. Ltd., Atul Ltd., and Henkel. 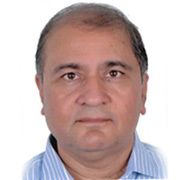 He spent a significant part of his career at Henkel in the adhesives business in various roles across segments and geographies including international markets based out of Dubai. Mr. Mistry holds a B.E. degree in Plastic Technology from L.D. College of Engineering, Ahmedabad, and an MBA from B. K. School of Business Management, Ahmedabad.